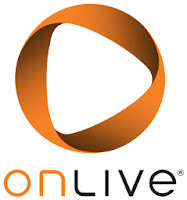 Electronic Arts was actually a launch partner for OnLive when OnLive launched on June 17th, 2010. Mass Effect 2 and Dragon Age: Origins were ready and would have been launch titles on OnLive. Even before that EA was prominently featured in OnLive's beta with Crysis being OnLive's showcase title at that time and Mirror's Edge and Burnout Paradise: The Ultimate Box were also featured in the OnLive beta. EA is prominently featured among the partners on OnLive's web page since OnLive's beta days, so their partnership formally never ended. After OnLive's bankruptcy debacle and the departure of Founder and CEO Steve Perlman, former OnLive staffers said that on June 17th, 2010, the day OnLive launched, Gaikai announced a multi-year deal with Electronic Arts. Perlman received the news in the OnLive booth at E3 2010. "He went ballistic," one witness recalls. "We had to slam the conference room shut and crank up the music so people wouldn't hear him." Perlman told EA he wanted exclusivity, even though Gaikai only offered game demos via the web rather than fully playable purchases. When EA refused, Perlman ordered his staff to remove all EA titles from OnLive. "We were instructed in no uncertain terms to pull the EA games at the very last minute," one ex-staffer related. Mike McGarvey, COO at the time, argued against the move, but Perlman wouldn't hear it. Shortly after the launch, McGarvey was sidelined and I guess even their friendship displayed in the Crysis gameplay video above didn't survive this dispute. If anyone from OnLive is reading this, it might be a good idea to get Mike McGarvey back as CEO as the guy clearly understands that great games are the best advertising for a games service. Bulletstorm was an attempt to get back into EA's good graces last year, and the game was ready to go — but when Gaikai added a web demo, sources said that Perlman pulled the plug on the game. Now with Steve Perlman gone, rumors are surfacing that EA is again about to bring their games to OnLive. Supposedly Electronic Arts plans to reinstate support for the OnLive Cloud Gaming platform in Q4 of 2012, with Bulletstorm being the first game to arrive on the service. 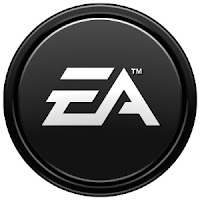 EA supposedly also plans to port over to OnLive past video game titles including Mirror's Edge, Battlefield: Bad Company 2, The Sims 3, The Sims 2 (PlayPack), SimCity 2004 (PlayPack), EA Sports Division games, Spore (PlayPack), Command & Conquer games (PlayPack), Need For Speed: Most Wanted (PlayPack), Mass Effect (PlayPack), Mass Effect 2, Mass Effect 3, Skate (PlayPack), Skate 2, Skate 3, Dragon Age: Origins (PlayPack), Crysis (PlayPack), Crysis 2, Dead Space (PlayPack) and Dead Space 2. Games that have PlayPack written in brackets will supposedly come to the OnLive PlayPack. With so many EA games supposedly coming to OnLive and EA even bringing games from their EA Sports Division, which not even Steam can get, this could signal some larger involvement of EA into OnLive like an investment. With Gaikai sold off to Sony, the hopes of building their own cloud gaming service with the help of Gaikai are low for EA. After OnLive's bankruptcy debacle investing into them is cheap, EA can even get a controlling stake of OnLive relatively cheap. OnLive could also have many benefits from this relationship with EA as EA evidently has the games which bring the gamers, the great PR of a large games publisher like EA supporting OnLive would return the trust of gamers into OnLive after their bankruptcy debacle and EA's support would help win the support of many other large games publishers. This hookup could be a win-win situation for both parties.